Everyone loves having a beautiful, cozy and comfortable home interior. As tastes differ, these qualities are interpreted in thousands of different ways, too, so everyone chooses an interior style that suits best their own understanding of ‘beautiful, cozy and comfortable’. That’s how we create a true home out of a lifeless building, after all! Yet, there is one thing that never varies in quality and importance, and that is fresh and healthy indoor air conditions. No home can ever be beautiful, cozy or comfortable if indoor air is stale, heavy and soaked with unpleasant smells. Ensuring good quality air indoors is extremely important for avoiding serious health issues such as headaches, coughing, allergies and even asthma. 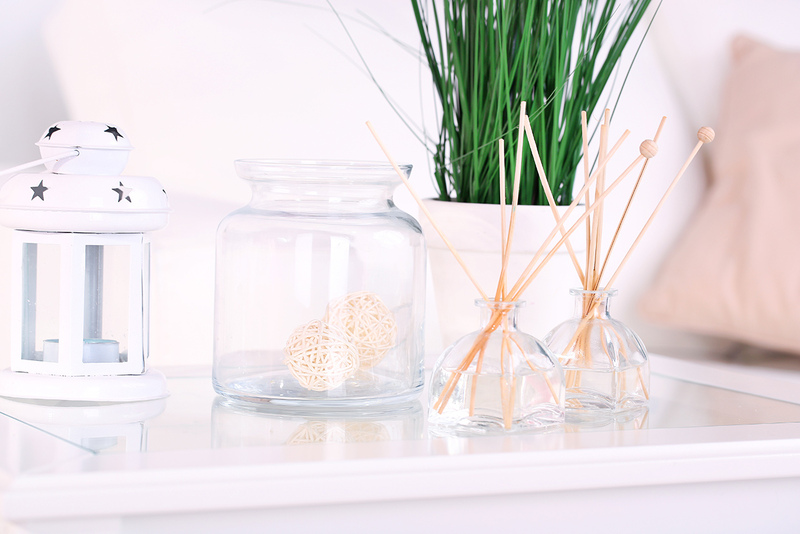 We offer you 7 smart ways to screen pollution out and keep the air in your home interior space clean, fresh and healthy. This is perhaps the simplest, yet highly efficient way to keep indoor air fresh and healthy. At least once a day the entire interior space needs a stream of fresh air. When possible, for example early in the morning, on summer evenings, or after a rainfall, open all the windows and cause a draft that will purify the indoor air and will fill your home with pleasant fragrances. However, most people tend to keep the windows tightly shut in order to avoid penetration of outdoor polluted air containing by-products of gas emissions from cars, industrial pollution, as well as dirt and mold. Yet this does not solve the problem but rather makes it worse. When natural air full draft is impossible or undesirable, trickle ventilation can be an excellent solution to allow fresh air in while letting indoor pollutants out. Another smart way to ensure that you’re breathing clean air at home is the use of appropriate air/fumes filters and gas detectors. Various hazardous gases, like radon for example, occur naturally and penetrate the home without being noticed. They can accumulate inside to lethal levels if left uncontrolled. Therefore, it is important to check and control these levels. Fortunately, the market offers various detectors and control devices that can do the job. All you need is to install such a device in or near the living space in your home. Another simple device that controls the levels of hazardous gases or fumes is the air filter. Various household appliances are equipped with air filters and they are really effective. Using disposable HEPA (high-efficiency particulate air) AC filters, for example, is a great solution to fight indoor pollution, excessive humidity, etc. environmental issues that pose serious health hazards. Maintenance is however paramount for their proper function. Cleaning the air filters regularly, as well as proper maintenance of the according appliances helps their better function in streaming fresh air in and conducting pollutants and irritants out. Smoke kills. As do gases and fumes. Literally! Therefore, avoiding smoke and gas accumulation indoors is one of the most effective ways to ensure breathing clean air indoors. And we don’t refer to smoking cigarettes only, though this bad habit has killed many people and is the cause for the poor health of many more. Not only smoking inside spreads an unpleasant smell, but tobacco’s smoke natural irritants pose a serious health threat to everyone, especially the non-smokers. So… No smoking inside! Even more dangerous than tobacco are the ‘silent killers’. These are the invisible and some even odorless gases people may get exposed to. Many homes use wood, natural gas or propane stoves, heaters, etc. household appliances. Unfortunately, these are the source of harmful gases such as carbon monoxide, nitrogen dioxide, as well as fuels combustion toxic fumes. Never use charcoal grills and BBQ-s indoors! Avoid leaving on fuel-burning engines (i.a. of cars or lawnmowers) in enclosed home premises, such as the garage! Unfortunately, most cleaning products are chemicals-based and contain harmful volatile organic compounds (VOCs) that may seriously challenge the levels of indoor air purity. Cleaners, paints, shellacs, floor polishes and waxes may contain and release in the air highly toxic chemicals such as chlorine, ammonia, formaldehyde or acetaldehyde. The solution is obvious. Cut down on VOCs by choosing products that say “Low VOC” or “No VOC”. When using such chemicals better open the windows wide and/or use exhaust fans to vent out hazardous emissions. Another way is to simply avoid strong chemicals and use organic and natural products. You might be surprised what soap, soda powder and vinegar can do! The presence of mold and mildew is evidence of high humidity levels. And high humidity causes the development of unhealthy and even hazardous interior environment. Breathing in mold spores is bad for asthma sufferers and they should take immediate actions to prevent this. And dampness alone causes various breathing and lung problems for everybody. Turn on the AC to exhaust damp air out, and use dehumidifiers. Home dust can surprisingly be as much dangerous as other allergens since it contains harmful microscopic pests – the dust mites. These can be found everywhere – in the bed, on upholstered furniture, carpets, and even on stuffed toys. They feed on human skin and thrive in humid air. Reducing dust and indoor humidity are the best solutions to get rid of dust mites. Consider also using impermeable mattress and pillows covers and wash these at high temperatures at least once a week. When possible, choose water or HEPA filter vacuum cleaners and vacuum and steam upholstered furniture and carpets regularly. Better even – take large carpets and rugs away. Keep humidity levels at minimum. Pets are part of the family, true, but they are also animals and as such, may be sources of various hazards to human health. No matter how you and your family love them, you should seriously consider a tighter pet control to avoid such hazards. Try to keep your pets, especially the furry ones, out of the bedrooms and as much time outdoors as possible. Clean thoroughly carpets and upholstered furniture to remove pet hair, pet odors and possible pet pests. Regularly clean and bathe your pet and check for pests. Good care of your pet’s hygiene will help reduce the harmful effects of their nature upon humans and will restrict their natural odors in the indoor air. Follow these simple tips and you’ll never have a ‘Bad Air Day’!